It is recommended that you attend a beginners’ course at your local club. These normally run for 4-6 weeks. Check out our ‘find a Club’ feature on the home page to find the club located nearest to you. Alternatively (or as well) you can view these 6 videos which will enable you to play a basic game of bridge. If you’re a bridge teacher, your students might enjoy the videos during (via a projector) or after their lessons. The videos are on the ABF YouTube channel, and may be be viewed or downloaded from there. They are not for sale. Check out the information supplied by the ABF to new registered players. 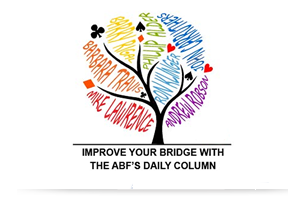 Download the ABF New Members’ Information Kit.